Gent is a small city in the Flemish region of Belgium. It lies some 57 kilometres north west of Brussels which is a reasonable distance in a country which is less than half the size of Tasmania and a heck of a lot flatter. For some reason in the English as a first language world we call it Ghent. I have no idea why we would so unnecessarily add an ‘h’ (and I flat out refuse to do so) but then again why do we call Germany ‘Germany’? Is there something specific about the English language that prevents us from saying Deutschland (although it is, admittedly, nice not to have to spell it on a regular basis)? Put it down to a perversity of my nature perhaps that I follow the fortunes of the city’s soccer team, KAA Gent. The slightest of family connections (my brother lived there for a couple of years) and a gifted soccer top (it was a present, it is not preternaturally talented) which allowed me to win the ‘most obscure soccer top competition’ in my team in Canberra, and I now follow Gent’s fortunes from afar. In an equally obscure fashion I hitched myself to the Lincoln City wagon a number of years ago. Last time a family member was in England they were laughed out of a jersey shop in London for enquiring about the availablity of Imps tops. Wonder if you can get them there now. As you can imagine I have had a good couple of weeks with non-league Lincoln making the quarter finals of the FA Cup at Premier Leaguer Burnley’s expense. Gent tipping Tottenham out of the Europa League, 3-2 on aggregate in front of 88,000 at Wembley was a nice sequel to making the knockout round of the Champions League last year too. Not bad for a club with a stadium, Ghelamco Arena, that holds 20,000 punters by comparison. I regularly wear my Gent top (and regularly get approached by confused Belgians as a result). But I must confess there is one thing that gives me pause for thought. Gent have the moniker the Buffalo which is all very good and well. Not too many buffalo in Belgium but then again when was the last time you saw a tiger on Punt Road, a lion on South Bank (hmmm, actually, there’s usually plenty lion about) or power in Adelaide? But the logo is the issue. The head of a Native American in profile wearing a full headdress. Odd for a Belgian soccer team for starters but it also raises issues of cultural appropriation, racist caricatures and general uncomfortableness. In America the use of Native American names and imagery for sporting teams is very much a hot topic. The NFL’s Washington Redskins and MLB’s Atlanta Braves and Cleveland Indians, and others, are in the middle of a debate about their names and logos. The greatest pressure is on the Redskins, naturally, given it is a derogatory term. However, beyond that is a broader discussion, even where intentions are good, about the appropriation being reflective of the cultural and systemic imperialism that were used to oppress Native Americans in the first place. But what of Gent? How did they get here and how are they dealing with it? The club can trace the use of ‘buffalo’ back to the 1890s. Believed to be inspired by the travelling Wild West shows of the time, particularly those featuring Buffalo Bill Cody, university students (of course) took up the ‘buffalo’ chant used by the shows. 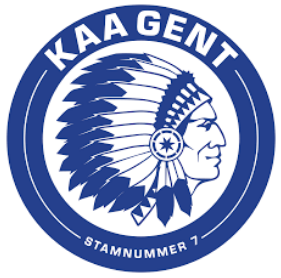 By the 1920s KAA Gent’s fans were chanting “buffalo” at matches and the moniker stuck. As for the logo, it was first used on a club flag in 1924. 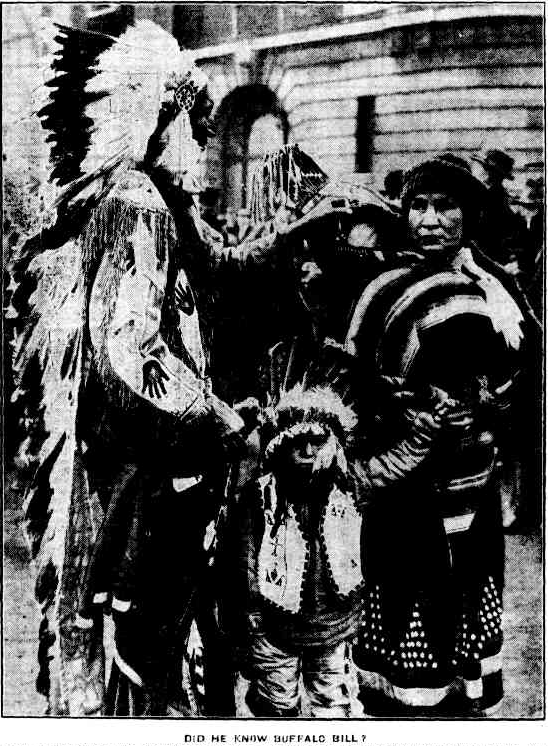 Again this was inspired by Buffalo Bill’s shows and the Sioux people that had appeared in said shows, headdressed to the nines. There is cultural historical context for the use that is not inherently racist in its nature or intent. The depiction is not a caricature, rather it accurately depicts a person of a specific nation. The portrayal is neutral – it represents neither necessarily a ‘savage’ nor a noble warrior, not drawing on stereotypes to make a symbolic statement. It is used respectfully, not simply acknowledging the subjugation of Native Americans but because of it. Taking their side if you will. This is done with some level of intent that it can be used to further the cause of Native American people. How refreshing is that? To hear a reasoned and nuanced argument expressed about a complex issue. How nice is it to see a sporting club write about cultural historical context (it makes this one time wannabe cultural historian’s heart sing with joy)? Why is it that a Belgian soccer club is capable of complexity of thought and expression that far outstrips the best and brightest in the world’s parliaments. At least in the way they express themselves to us. Nonetheless, I remain unconvinced but have decided that it’s ok to be uncertain for the time being (or potentially the foreseeable future). Sometimes its nice to appreciate a situation where people can hold conflicting but not unreasonable points of view. In a world where debates appear to be increasingly divisive and reductive, it’s delightful to occasionally wallow in a bit of grey. Think I’ll keep wearing the top and c’mon the de buffalo! That is an impressive badge it has to be said. Some lower division English sides have some good ones as well. There’s Hereford United with the heffer looking tranquil and at ease with his existence. My favourite though is the old Shrewsbury Town badge that had a lion adorned on said badge looking like he was watching his house burn down and he couldn’t do anything about it. The pic is easy enough to find on the net. Thanks for the read and the comments, folks. It’s funny Mickey, I just have no interest whatsoever in the Premier League – the lower leagues hold much more romance for whatever reason. If the A-league does away with the salary cap (although it already has a system where only certain clubs can afford certain players) it will kill off any interest I have in the competition. Love that description of the Shrewsbury badge more than the badge itself, Dennis. They’ve been known for the odd FA Cup run too. Lincoln City’s badge is one of the more interesting as well: https://en.wikipedia.org/wiki/Lincoln_City_F.C. Fantastic read Dave. Like Mickey, I enjoy reading about the teams people follow and the reasons for following. Will be interesting to see how the nickname/logo issue gets sorted, especially in the USA. With my team languishing in second Division (albeit on top of the table), and the TV rights going to Optus, this season has been the least I’ve followed the EPL in a long, long time. Great line, worth the price of admission alone. Gent has always punched above its weight. I wonder whether it’s a Flemish thing, having to stand up to the ever-encroaching francophiles. Thanks Luke, seems like there’s a real standoff in the US. Interesting reading about Adidas’s work at the grassroots level, running a campaign to encourage schools to change their team names and providing them with assistance for rebranding design and new uniforms to do so. Thanks Mark. Prepare for a winter of Adelaide power puns if our friends down Port way struggle again. Good question Joey. Seems Gent’s punching ability has grown since they moved to the new stadium with almost double the capacity of the old, which they pack to the rafters each week. Nonetheless with the average EPL wage 12 times the average Jupiler League wage, it’s quite the wallop they pack. Of course, Gent was La Gantoise until 1972 so the Flemish/Walloon tension is always a thing. Wonderful piece Dave, which led me to coming across this site after comments about Shrewbury FC. Lots of quirk in that lot ?